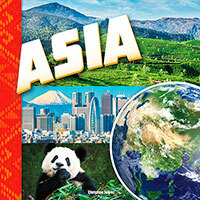 Come along and discover the continent of Asia. What are its biggest cities? Where is its tallest mountain? What natural resources are found there? Take a trip across the world! Investigate each of the seven continents through maps, beautiful photographs and interesting facts.